[Adam Taylor] always has interesting FPGA posts and his latest is no exception. He wanted to use a Zynq for image processing. Makes sense. 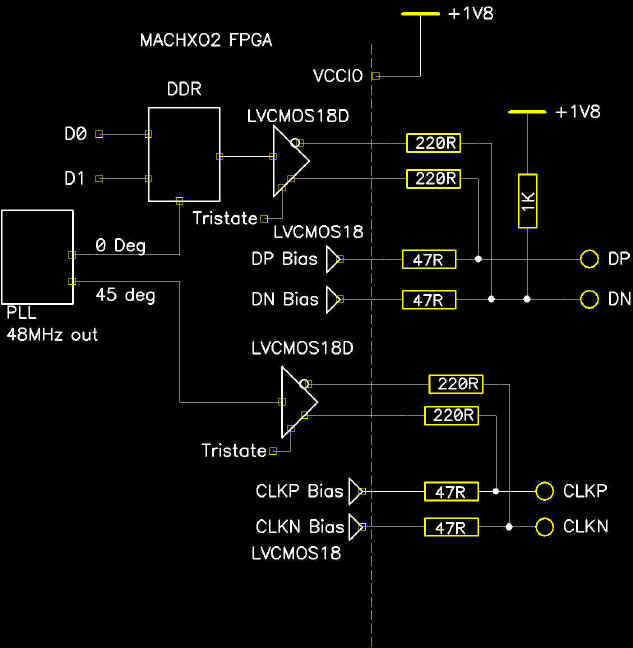 You can do the high-speed parallel parts in the FPGA fabric and do higher-level processing on the built-in CPU. The problem is, of course, you need to get the video data into the system. [Adam] elected to use the Mobile Industry Processor Interface (MIPI) Camera Serial Interface Issue 2 (CSI-2). This high-speed serial interface is optimized for data flowing in one direction. The camera, or the master, sends a number of bits (at least one) serially with one clock. To increase speed, data transfers on both rising and falling clock edges. The slave also has a pretty standard I2C master to send commands to the camera which, for the purposes of I2C, is the slave. Thanks to the worldwide proliferation of smartphones, tiny high-resolution displays are common and cheap. Interfacing these displays with anything besides a phone has been a problem. [twl] has a board that does just that, converting HDMI to something these displays can understand, and providing a framebuffer so these displays can be written to through small microcontrollers. [twl] is using a rather large FPGA to handle all the conversion from HDMI to the DSI the display understands. He’s using an Xilinx Spartan-6-SLX9, one of the most hobbyist friendly devices that is able to be hand soldered. Also on the board is a little bit of SDRAM for a framebuffer, HDMI input, and a power supply for the LCD and its backlight. On the things [twl] has in his ‘to-do’ list, porting Doom to run on a cellphone display is obviously right at the top. He also wants to test the drawing commands for the Arduino side of his board, allowing any board with the suffix ~’ino to paint graphics and text on small, cheap, high-resolution displays. That’s a capability that just doesn’t exist with products twice [twl]’s projected BOM, and we can’t wait to see what he comes up with. You can check out the demo video of [twl]’s board displaying the output of a Raspberry Pi below. If you look very closely, you’ll notice the boot/default screen for the display adapter is the Hackaday Jolly Wrencher. 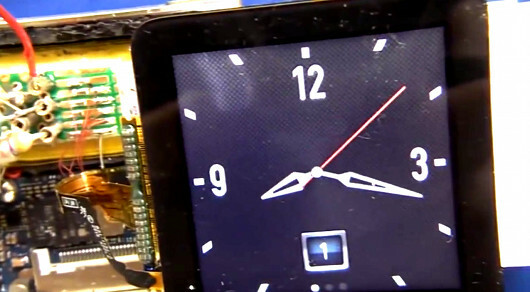 The current marketplace allows hobbyists to easily find inexpensive, well-documented displays, but what if you wanted to interface with something more complicated, such as the screen on an iPod Nano 6? [Mike] has given us a detailed and insightful video showing his process for reverse engineering a device with little-to-no documentation. Here he covers the initial investigation, where one scours the web in search of any available information. In [Mike’s] example, the display uses an MIPI D-PHY interface, which he has never worked with. He learns that the MIPI Alliance will provide design specs in exchange for a signed NDA (Non-Disclosure Agreement) and a modest $8000 fee. Nice. [Mike] shows off some serious hardware hackery, tackling some extremely difficult soldering in order to set up a proper test platform. He then demonstrates how to use a rather awesome oscilloscope to better understand the display protocol. We found it fascinating to see the video signals displayed as waveforms, especially when he shows how it is possible to count the individual binary values. The amount of information he uncovers with the oscilloscope is nothing short of amazing, proving these little devices are more complex than they seem.